Restaurant management tips often deal with ways to streamline the day-to-day operations of the restaurant itself. But what about you—the manager—who dictates those day-to-day operations? Could you use some tips to help you manage better? Of course you could. We all could. Working on yourself is as important as, if not more important than, working on the operations of the business. That’s because everything you do affects some aspect of the restaurant—from the food quality to the atmosphere to the employee demeanor. So instead of looking for ways to improve the business, let’s look for ways to improve ourselves and our management style. If we do that, everything around us will improve as well. This article will consider 15 restaurant management tips that can get you on the path to managerial success. Your positive attitude—or lack thereof—can dramatically affect the mood of the entire restaurant…customers included. A negative attitude on your part can trickle down through the employees and seep into your guests. This, in turn, colors their dining experience in a bad way. That’s a recipe for disaster. Work on keeping a positive attitude at all times come what may. Of course you’ll feel irritable and grouchy from time to time, but try to remember the passion that brought you to this job in the first place. That passion can fuel your positive attitude, which can make all aspects of the business better. Transparency is an important aspect of restaurant management in the 21st century. Millennial employees, in particular, want to know what’s going on and what you’re doing in the restaurant. This stems from the younger generation’s need to feel connected and part of something larger. If you can foster transparency with your employees, they will feel more a part of your team and be engaged and motivated to perform at the highest levels. If you aren’t already, conduct regular staff meetings to keep employees up to date on the business. During work hours, keep in constant communication with employees so you know what’s going on. And don’t forget to provide positive encouragement when appropriate. The restaurant business can be notoriously inconsistent. One day can differ from the next, which can differ from the next. This can wear away at employee efficiency because they have no idea what to expect from day to day. You provide the stability your employees need to perform at their best. Keep communication lines open and be consistent with your expectations. This will help employees stay grounded when everything else changes. In order to perform at your best, it’s important to plan ahead. Anticipating needs and problems, and being proactive in the management of these issues, can go a long way toward keeping stress and chaos at bay. Try making a list of things you need to do in the next few months. Then prioritize those items by importance and get to work. If “hire a new server to replace one that’s leaving” and “update inventory” are on there, those should go at the top of the list. If you get those done sooner rather than later, you’ll avoid the problems that come with being short-staffed and without important supplies. The restaurant business may not seem like a prime place for innovation, but it actually is. Whether it’s simpler point-of-sale technology, adopting a farm-to-fork initiative, or revamping the accounting systems, these innovations can keep a restaurant successful. 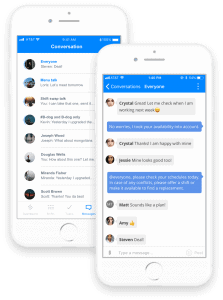 For example, the emergence in recent years of employee scheduling software like Sling has streamlined the management of employee groups both small and large. But Sling is more than just a calendar where you list who’s working. Because it’s designed specifically for restaurants, Sling helps you schedule more efficiently by offering suggestions and alerting you when there are conflicts. It’s these kinds of innovations that you need to be aware of in order to keep your business competitive. On most days, there are just too many things for you to handle effectively. That’s why it’s important to learn to delegate. Start by delegating the less-critical day-to-day chores to trusted employees you know can get the job done. This frees you up to focus on the bigger, more important issues your restaurant will face. In addition, delegating some of your many tasks to your employees helps them see what is involved in day-to-day operations (transparency) and trains them to take on more responsibility later. If you want your employees to perform at a high level, you have to perform that way first. You can try to explain it in your employee handbook all you want, but leading by example makes the point crystal clear. If you want your servers to keep an eye on the dining room and help out if the busboys get behind, show them how it’s done—not in a formal training situation, but every day. If they see you reacting to the needs of the business without being asked, they’ll be more likely to emulate your behavior. We all make mistakes. It’s just a fact of life. And just because you’re a restaurant manager doesn’t mean you’re somehow exempt. The important part to focus on is not that the mistake occurred in the first place, but what you’re going to do to fix it. This means being accountable for your mistakes, moving past them, and finding a solution. Take the time during a staff meeting to mention a mistake you made, apologize for it, and then brainstorm with your employees how to prevent such mistakes in the future. This can be a great way to train your staff to exhibit the same behavior. Working ON the business is perhaps one of the most important tasks on the restaurant manager’s list. It’s drastically different than just working IN the restaurant. Working ON the restaurant is a way to keep it up-to-date, fresh, and functioning over the long haul, not just day-to-day. Working IN the restaurant, on the other hand, is a way to keep it functioning from open to close. While the latter is important in the short-term, the former is more important in the long-term. 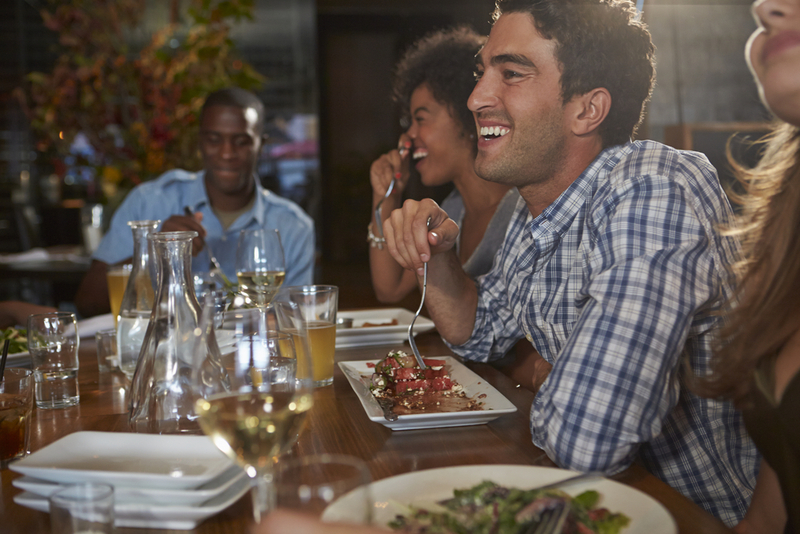 Take the time to examine dining trends, marketing results, and overall business practices. 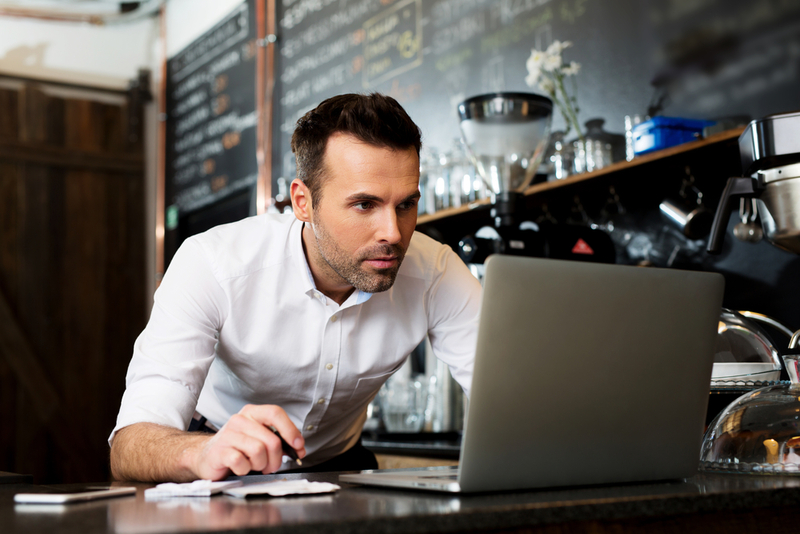 Working ON the business in this way will help keep your restaurant open and successful for years to come. Everyone needs encouragement now and again. Your employees are no different. Positive reinforcement can go a long way toward making your staff perform at their best. When you celebrate success, your employees see the value of doing a good job and know that you appreciate their efforts. If you see someone doing a good job or notice how they handled a problem really well, take a moment to pull them aside and commend them. This one-on-one attention can make the employee feel like they’re respected and a valuable member of the team. Additionally, make it a point to highlight successes at staff meetings so that everyone can learn what constitutes a good job in your restaurant. Everything that can go wrong in a restaurant will go wrong at one point or another. It’s pretty much a universal law. Because of that, it’s important to develop and strengthen your problem-solving skills so you can handle the myriad emergencies that are an integral part of the restaurant business. When faced with a problem, figure out the simplest solution that satisfies all parties involved and then execute. Don’t overthink it. You can analyze what you did later. When a problem rears its ugly head, solve it and put it behind you so you can be ready for the next one. When things have calmed down, take a moment to think about the problem, the way you handled it, and what, if anything, you could have done differently or better. Would planning ahead have kept this problem from happening? Was there a simpler way to handle the problem? How can we avoid this problem in the future? Analyzing the incident after the fact can help train your problem-solving skills to be more efficient and effective in the future. Managing a restaurant puts a lot of physical demands on your body. You’re likely going to be up early in the morning to open the restaurant, and still awake late at night to close it down. That in itself can take a toll on your body. But add in the very real possibility that you may be moving heavy objects (furniture, trays of dishes, crates of food and boxes of supplies) and coping with adrenaline (during the lunch rush and dinner service), and it’s easy to see how a manager’s job can be like one long CrossFit workout. That’s why it’s so important that you train your body to meet the rigors of the job. Physical stamina is key because you’re going to be on the job for ten to twelve hours (or more). You’re going to be balancing periods of inactivity (deskwork) with periods of activity. Some of that activity may be rather extreme—rearranging furniture to accommodate a large group, stowing supplies to get them out of the way and ready before the lunch crowd demands service. If you don’t develop your stamina, you’re going to burn out. It’s just that simple. Take some time out of your busy schedule to get some exercise at least three times a week. It doesn’t have to be anything drastic—a thirty-minute run or a vigorous stair climb will do. The important thing is that you prepare your body to handle the most difficult parts of your job. The list goes on and on and could literally fill a book. And that’s just a normal workday. The stuff you face on an unusual day could have you scratching your head in confusion and amazement. The way you deal with these situations and scenarios goes a long way toward influencing how customers perceive your restaurant. It’s that perception that can have a profound effect on the success or failure of everything you do in the business. The way you deal with your customers also influences how your employees will react when put in a similar position. Your example is what they will draw on when they’re faced with these challenges. As you can see, a lot is riding on your customer service skills. But how can you train yourself to always put customer satisfaction first? By weighing every situation on how it will affect the business, your employees, and the customer. It’s very much like passing water through a series of filters. What may start as a muddy mess eventually distills down to something that’s good for everyone. The decision you have to make regarding a strange customer request or an abnormal situation starts out like that muddy mess. But after weighing out how the various options will affect the business, the employees, and the customer, your decision often becomes clear. To illustrate, let’s go back to the example of the customer who is unhappy with the food—in this case, a pizza. He calls you over to complain, and you can see that he’s taken a bite out of a number of slices. He explains that he was trying to see if it was the whole pie or just one piece that tasted bad. You take a bite and discover that it tastes exactly as it should. What do you do? In this case, maybe you don’t even take a bite, but what you certainly should do is weigh out how your decision could impact this customer’s experience, the business, and your employees. The impact to your employees is pretty much zero because, for example, there wasn’t a specific instance of a server dropping a glass of wine on someone’s white clothing. That leaves the business and the customer. 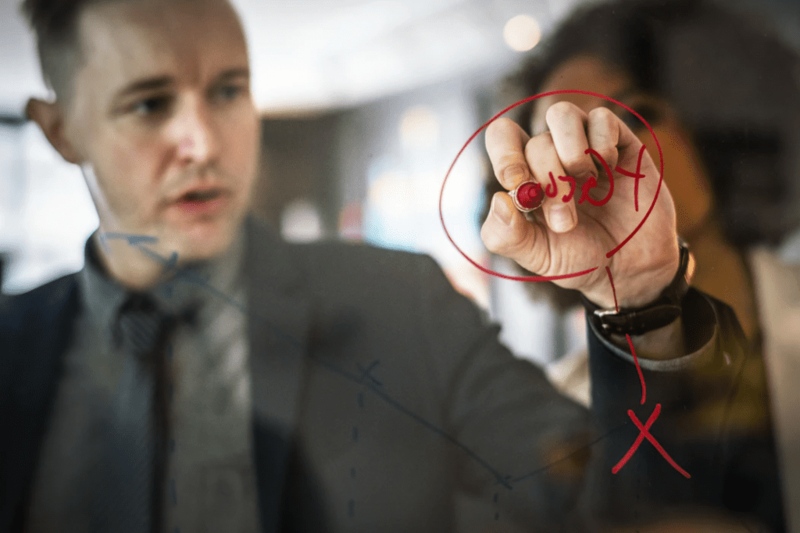 What you’re looking for is a solution that will affect the customer in a positive way without affecting the business in a significantly negative way. You could just dismiss the customer’s complaint as unfounded, but that would make the customer even more unhappy and likely have him talking badly about your restaurant (bad word-of-mouth can be the death of a restaurant). Instead, you could apologize for the pizza, make him another one, and comp him his entire meal. The customer is now extremely happy and will likely talk your restaurant up to his friends, and you’re only out, at most, $50. That’s a small price to pay for positive word-of-mouth advertising. This is just one instance of the myriad customer service situations that will present themselves throughout the day. But regardless of the scenario, always look for a solution that puts customer service first without hurting the business or your employees. It may seem like a contradiction in terms, but a great restaurant manager needs to be tough but sensitive, rigid but flexible. You need to set high standards and goals and expect your employees to produce results. That may mean that you have to push your employees outside their comfort zone once in a while. But that’s really the only way they are going to grow and improve in the restaurant industry. Adversity and challenge breeds experience and skill. But being tough doesn’t mean that you have to forsake sensitivity and flexibility. You can reach your goals and drive your employees to improve while at the same time being sensitive to their needs and flexible to the demands of the situation. A fairly obvious example would be if a valued employee’s parent or spouse or close relative died suddenly in an accident. They would take some time off, sure, but chances are, they would still be suffering from shock and grief when they returned to work. In that case, they might not be performing up to your normal standards (whatever those standards may be). Does that mean they need to be let go? Of course not. Now if the behavior persists pasts a certain point, you may have to consider that as an option. But for the time being, you need to be sensitive to their life outside the walls of your restaurant. You also need to be flexible enough to, perhaps, schedule them for slower shifts, or give them a reduced workload. This will give them time to heal and return to the previous high level of job performance. Not every situation that demands sensitivity and flexibility will be this cut and dried. Instead, it could be something as subtle as a friction or disagreement between two employees that demands that you don’t schedule them together for a while. Or, it could be a situation where a bartender has just been promoted to head bartender and isn’t performing the same as before. You need to be sensitive enough to realize that she now has a lot more responsibility and is just trying to find her way into this new role. Yes, there will be times when you’re able to concentrate on one thing for an hour or two. But for the most part, your job as a manager is going to demand that you are comfortable with, if not an expert at, multitasking. Your employees are going to be coming to you with questions about all sorts of things. Suppliers are going to be calling to schedule deliveries. Customers are going to want to talk. And that’s just the “people” side of the business. 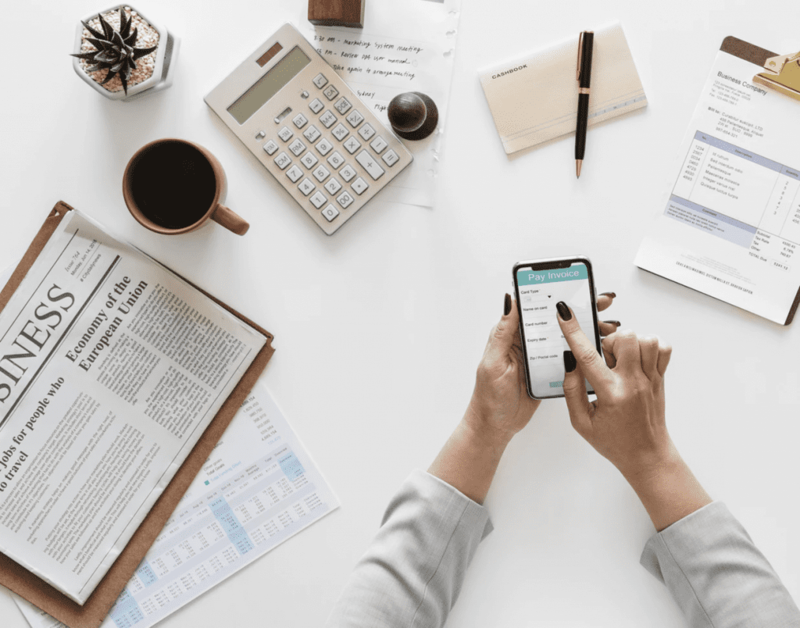 You’ve got schedules to put together, finances to reconcile, advertising and marketing to arrange…and that’s just the beginning of the list. Your day is filled to overflowing with countless tasks and innumerable interruptions. You need to be able to give your attention to one task for a period of time, allow yourself to be pulled away to a second task when necessary, and then be proficient enough to step right back into that first task without hesitation. That’s multitasking in a nutshell and should be the cornerstone of every restaurant manager’s skill set. Without the ability to multitask, you’re going to feel overwhelmed and incredibly frustrated in very short order. Work on related tasks together. This helps minimize the toll on your neurons when your brain has to adjust. Keep your to-do list visible. This reminds you what really needs to get done and where your focus should always return. Take in new information when you’re sure you won’t be interrupted. This can help ensure that the new information gets committed to memory. With a bit of practice and determination, you can improve your ability to multitask just like you can improve other parts of your job. Working on yourself, like working on the business, can be a daunting task. Thankfully, working on yourself takes a single step to get started. If you feel that you’re lacking in any of the skills above, pick out the one that’s the most important to you and make an effort to improve. When you feel like you’ve integrated that skill into your management style, pick another skill from this list and work on it. By improving yourself and your management style, you can effectively improve your staff, your employees, and your restaurant as a whole. 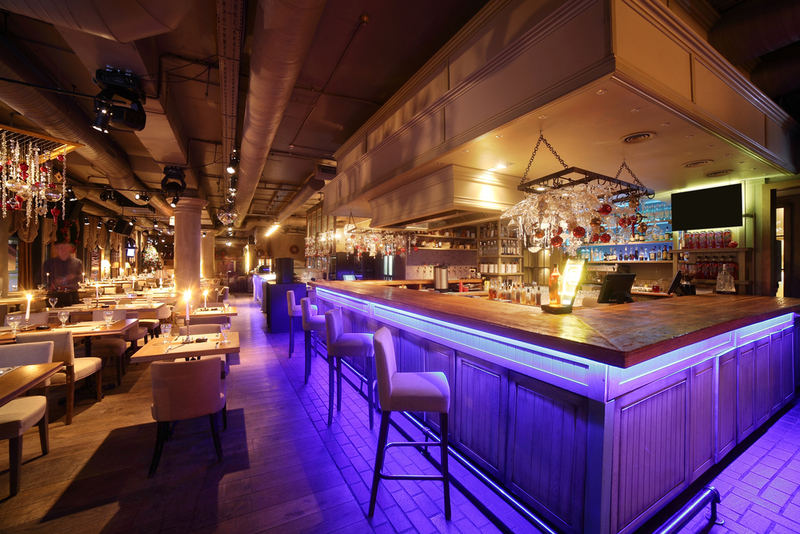 Incorporating these restaurant management tips into your workweek takes commitment and time. But the results are well worth the effort. The best way to keep your business running smoothly is to harness the power of scheduling software like Sling. 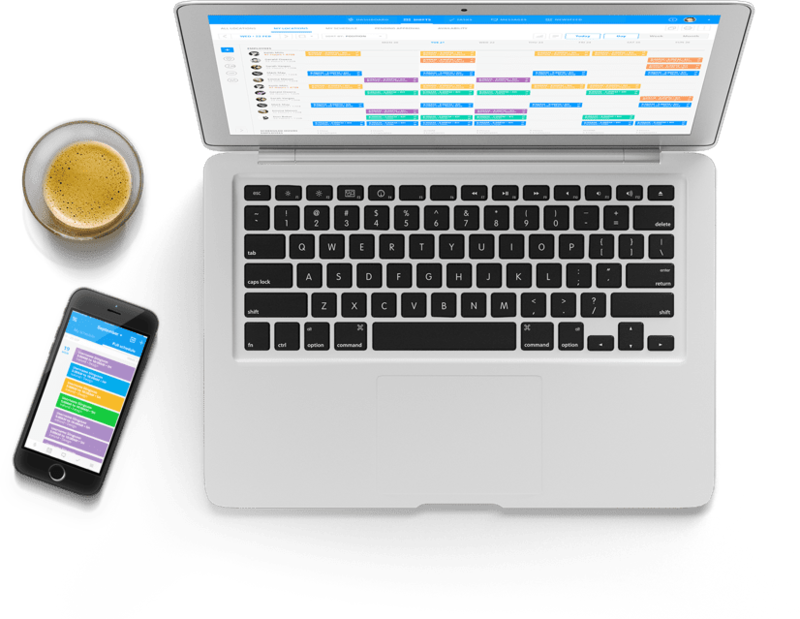 Not only does Sling help you schedule time to improve your management style, but it also helps you simplify and streamline the way you schedule, track, and communicate with your employees. The powerful Sling A.I. offers suggestions and notifications so you can avoid conflicts and double-bookings when creating your employee work schedule. This makes it easy to get your scheduling done quickly so you can move on to other important tasks. 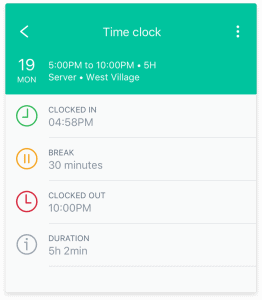 Sling also offers a time clock feature that all your employees can use right from their own mobile device. No paper time sheets or fixed terminals needed. That helps you cut costs and reduce potential headaches. Those two features alone would be enough to cut significant time off the process of organizing and tracking your employees. But Sling takes it a step further by adding real-time labor cost analysis. With this extremely useful feature, you can optimize your spending while you schedule and gain insight into the way your business runs. Other features like employee messaging, company newsfeed, and task list make Sling the most powerful solution for managing, scheduling, organizing, and communicating with your employees. It really is the key to improving the way you work and the way your business operates.